Ready for our December meeting? Join us on December 17th, 7:00pm, at Endgame in Tempe. How can we build better game systems? Learn about different design processes involving observing and deconstructing existing systems and finding the best places to innovate. See practical examples of this process through deconstructing mechanics, and rebuilding proven systems to discover the right things to change. Tristan Moore has been a professional game artist and designer for almost 5 years. 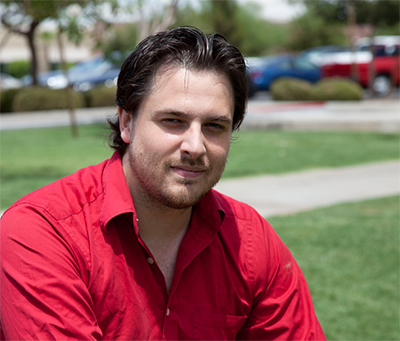 He is the co-founder of Broken Window Studios, which is currently developing the indie horror title Grave. Tristan is also a design adviser on the upcoming Afro Samurai 2: Revenge of the Bear, developed by Redacted Studios. The Hour of Code is a world wide event taking place December 8 – 14th. It’s a one hour introduction to computer science designed to demystify code and show that anyone can learn the basics.